Jan grew up in the small city of Brandenburg, about 70 kilometers south of Berlin. After graduating from the Berlin Design Academy with a degree in Communication Design, he cofounded 6Wunderkinder (literally, “6 wonder kids”) back in 2010. Since then, he has been the company’s lead designer, responsible for the visual design of the popular Wunderlist and the company’s website, blog, social-network sites and branding. 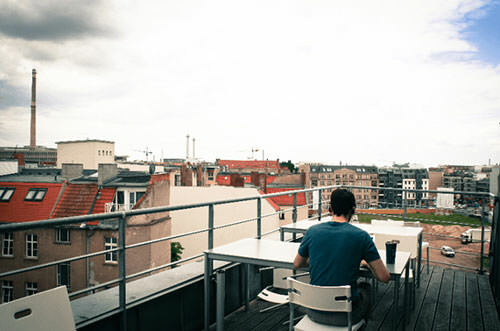 6Wunderkinder’s current headquarters are located on the top floor of a “Berliner Hinterhof” (a Berlin courtyard), with extensive views of the city. 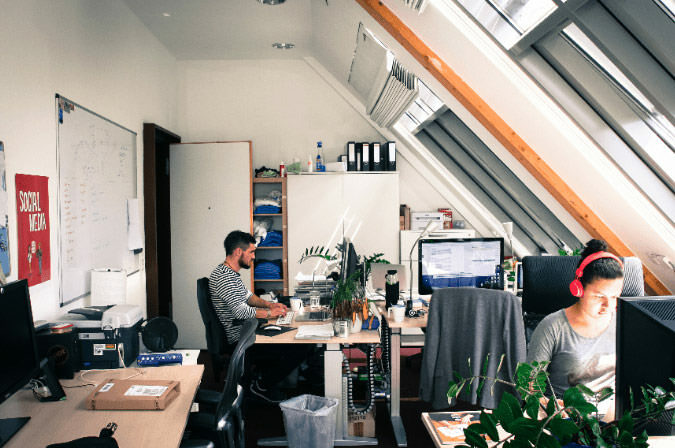 The building is one of many coworking spaces that host an array of up-and-coming startups in the “Mitte.” Despite its German roots, 6Wunderkinder has a diverse team of employees coming from over 15 countries. Q: So Jan, how was 6Wunderkinder brought to life? The original three founders — Christian, Robert and I — have been good friends since we were in school. Prior to starting 6Wunderkinder, we founded a Web design agency called Innovatics. This is how we met the other founders, Charlette, Daniel and Sebastian. Christian is the CEO who runs the company. Charlette is our finance lady who takes care of all our salaries and operations. Robert was the marketing and PR guy. And Sebastian is the designer behind the entire first version of Wunderlist and Wunderkit. Wunderlist is an idea we had long ago. We have always wanted to create something to aid people’s productivity with a delightful interface. I still vividly remember the day when I received my diploma from Design Akademie Berlin. It was the same day we founded 6Wunderkinder. 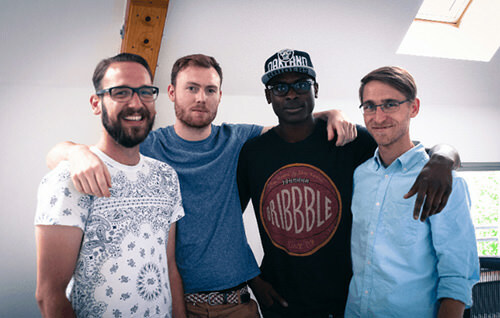 Q: How does the design team at 6Wunderkinder work? Collaboration is the most important thing. We give each other feedback on a daily basis. All designers on the team constantly publish work and give critiques to each other. We are extremely honest when we give feedback. If a couple of pixels are not positioned correctly, we will point it out immediately. 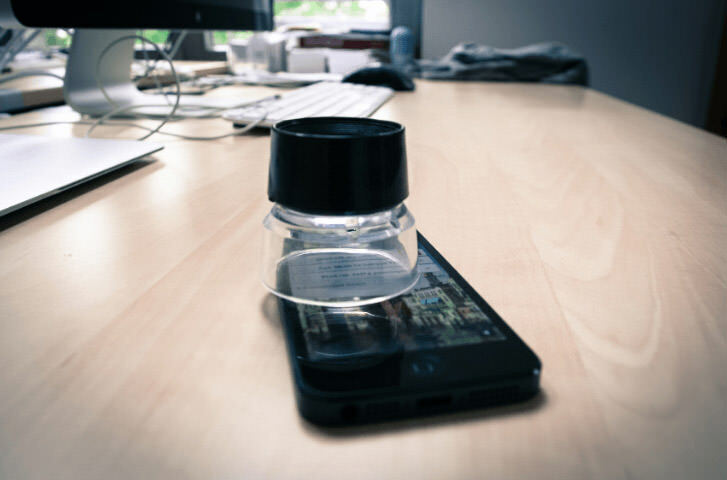 We even use a real magnifier to examine the design quality on device screens. I work with a team of the best designers in the field, and every day they offer so much that I can learn from. For example, our product lead, Benedikt, oversees all of our marketing and product design. He writes often to give good advice. Recently, the flat UI style has become increasingly popular, and many designers have started to adopt this style. Ben encourages us not to follow these trends mindlessly. He thinks designers should focus on their own creation, rather than looking at what others do. Sebastian Scheerer, Timothy Amchuba and Julius Schäper work closely with the engineers to deliver quality products for different platforms. 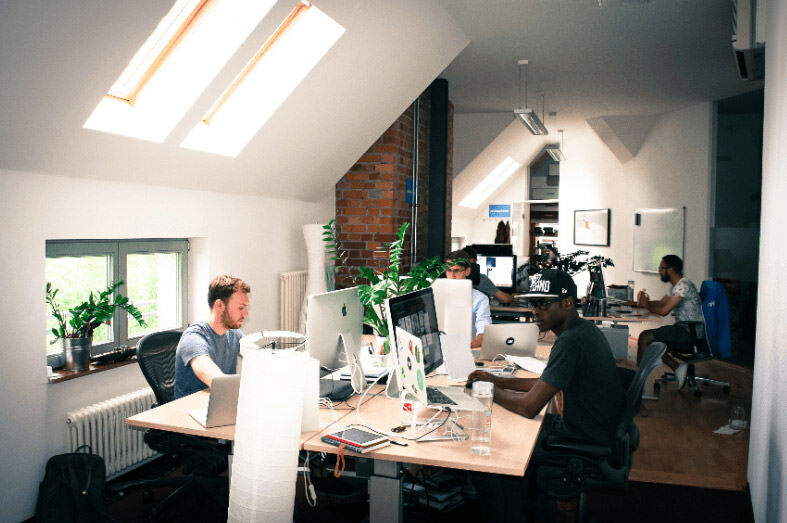 Sebastian is in charge of the Android, desktop and Web apps; Tim works with the iOS team; Julius creates beautiful icons and images for all the products. We all work on different tasks but are interconnected at the same time. “Be a pixel perfectionist” is our slogan. We also have great relationships with the engineering teams and often get help from them. Tim was interested in coding HTML and CSS, and one of our Web developers taught him the skills. At 6Wunderkinder, we are not only colleagues but also a big family. We stay up late at night in the office together for releases, and we take vacations together. We have a annual company retreat called “WunderCamp,” where we go on a trip with everyone in the office. Q: What is the design aesthetic at 6Wunderkinder? 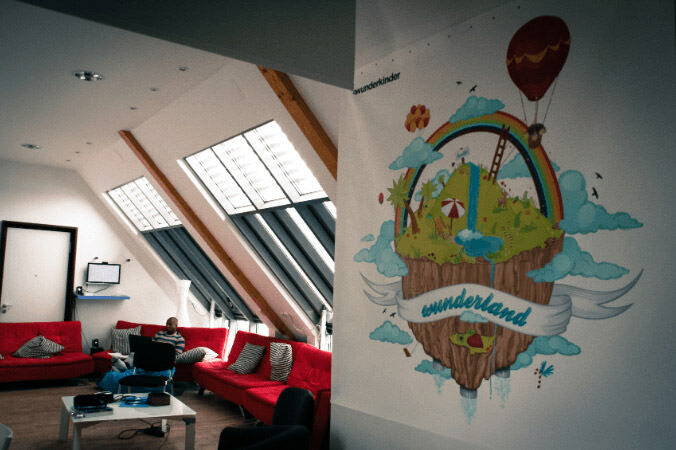 At 6Wunderkinder, we pursue quintessential design and engineering. Each employee here is very attentive and diligent on things that we work on. Our CEO and company founder Christian Reber comes from an engineering and business background, but he is always interested in participating in our design discussions. Christian and our product lead, Benedikt, often give the designers valuable input. We encourage everyone in the company to be involved in our design critiques. This interactivity allows us quickly realize what we need to improve. Q: How important is the work space to your creativity? The work space is indeed crucial for us. We all have our own individual spaces, but we are also grouped as teams in different rooms. In our office, we have a lounge that we use for communal activities, such as weekly reviews, celebrations and product releases. We have a relaxed environment, but everyone works hard. We stay on top of communication with each other, even when someone needs to work remotely. Soon, we will move to The Factory, a newly constructed campus where we’ll get to share space with many other startups and tech companies, such as Zendesk, SoundCloud and Mozilla. Q: What is your typical design process? I always start with pen and paper. I use a brainstorming strategy that I call The Simpsons (yes, like the TV show). I call it The Simpsons because I try to produce strange ideas, just like the crazy cartoon does. Also, I never pick the first idea. For example, when the character Homer walks past a banana, most of the audience would think he will slip and fall. But the creators of The Simpsons always make him do something unexpected. I sketch some of the developed ideas on paper, then scan these drawings to the computer. During my design process, I also look at many photography libraries for reference. Usually, I’ll create multiple versions for one project. After collecting feedback from my colleagues, I’ll keep refining the one that has gotten the best feedback until the final delivery. In terms of digital tools, Photoshop is my favorite. I use Illustrator to draw complex shapes, too. And Keynote is the tool I use for constructing wireframes. Q: What inspires you outside of work? Berlin. The city is full of talented creatives. Because of the inexpensive cost of living, many young artists and designers can do what they love here without concern for money. During my free time, I like to explore the city. Berlin has so efficient an infrastructure that I can easily travel across the city. Currently, I live in the neighborhood Welding. It is not as popular as Mitte or Kreuzberg because it is still under development. But that’s why I like to discover new things happening here. I also watch many documentary films to get inspired. My favorite one is Objectified by Gary Hustwit. Recently, I watched a documentary called Jiro Dreams of Sushi. Chef Jiro Ono’s wisdom about perfect sushi-making in the film particularly inspires me in design. Q: What have been the most unique challenges that you’ve discovered in your work at 6Wunderkinder? What are the most interesting problems you’ve had to solve, and how did you solve them? One big challenge was to start as rookies but provide a high-quality app that does what other big players already offer. Our numbers grew incredibly fast, and so did the demands of our users, which we had to grow with very quickly. Good is not good enough, even if your app is free. Another challenge was how to handle press. Press buzz and hype can help you to develop a strong brand and gain attention in the beginning, but there is a big difference between publishers and readers. It’s easy to get in touch with publishers, but it’s hard to talk directly with your audience. Even if you are an early-stage startup, invest as soon as possible in an experienced head of press. Sometimes it can be really seducing to get a bit more buzz. For most people, more users equals more money equals more success. But sometimes it doesn’t. Take a step back and consider which news and which announcements are really helpful to you. Not only in design does “less is more” count. Let me quote my good friend and CEO Christian Reber on the most important challenge: “Prepare to fail.” If you want to read about insights into failing and learning, you should read his startup lessons featured on The Next Web. Q: How do you feel about growing a company in Berlin? Did conversations with people in Berlin (at meetups, etc.) inspire you to create your product? Do you seek inspiration in coffee shops or when walking, hiking, etc.? Have you had a chance to see what the community is like outside of Berlin, perhaps in other countries? It was one of our best decisions to found and start our company in Berlin. The city is vibrant and filled with clever, creative and hardworking people from all over the globe. You have so many freedoms that you would not find in other cities. It’s this mixture that makes the city so interesting, confident and unique. But creating a startup is just one small step. I met some designers in June in San Diego at a design conference called Valio Con. Most of them were from San Francisco. Some of them worked in big and well-known startups. I think there is a difference between talking to people who have the same problems you are facing and talking to people people who had the same problems. Which means Berlin is not the right place right now to learn from other companies if you want to become more than a startup. There are not really many startups in Berlin that have made a profit or an IPO, and not many startups will. In general, I try to avoid startup meetups and parties. Instead, I sit with my colleagues and work on our product. We made a big promise to our users and investors, so why should we waste our time just talking to others on the scene?! Q: Because Berlin is so big, do you find the city at times too competitive, with too many design agencies fighting for attention? I can’t tell you anything about the design agency scene, just about the startup scene. But in the case of startups, I don’t think it’s too competitive. There are enough users with many and varying needs out there. It could be competitive regarding investors; but since I’ve been on the scene, there hasn’t been a startup with a good product that hasn’t found an investor. If you don’t find any investors, you should rethink your product. Q: What lessons have you learned in your career? And how have they changed the way you approach design today? One of my best learnings is to be careful with trends. Trends come and go. Some are good and will return, and some will leave you feeling embarrassed in the future. I’m trying to focus on the fundamentals, which will always work, allowing me to interpret current trends but not rely on them. For instance, I’ve stopped using Dribbble. If you design for yourself or your own company, you should always strive for unique design and visual communication. But if you look like anyone else, you will lose an important advantage. Don’t implement anything you see on Dribbble into your work. It might work for that designer, but maybe not for your product. In the end, it will help you more if you find your own solutions. If you need inspiration, go to a museum; there is a reason why those works are in a museum. Thank you for sharing inspiring insights into your work with us, Jan! Please feel free to follow Jan Martin on Twitter and check out his portfolio.